Peering out the window of the descending airplane I instantly knew exactly where I was. The image of the Straight of Gibraltar was unmistakable and the realization was sinking in that I would soon be stepping foot on the African Continent. The plane descended and the moment grew close. I felt like an astronaut walking down the staircase off the plane, imagining my first steps were relevant to the entire world. My African adventure had begun. Our mission was an overland trip across the entire continent, traveling down the Coast through West Africa and beyond. We began at the top, in Tangier, at the northern point of Morocco. 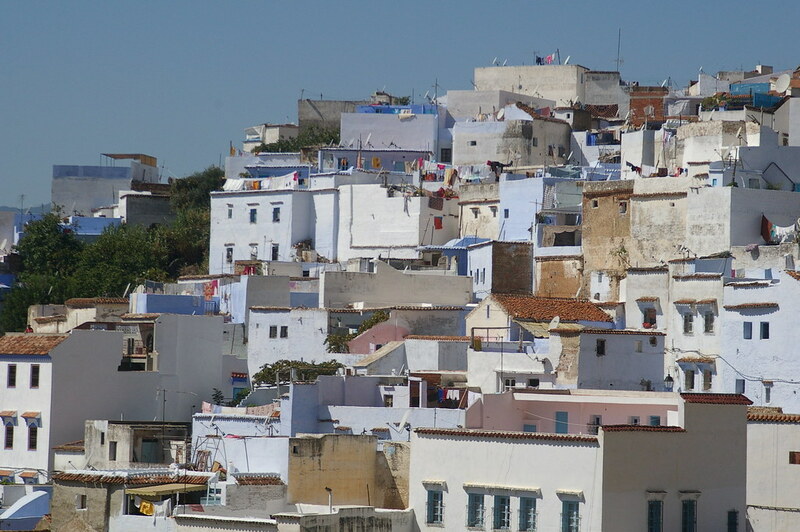 We decided against staying our first day in the port city and instead made our way towards the Rif Mountains and the more remote village of Chefchaouen. 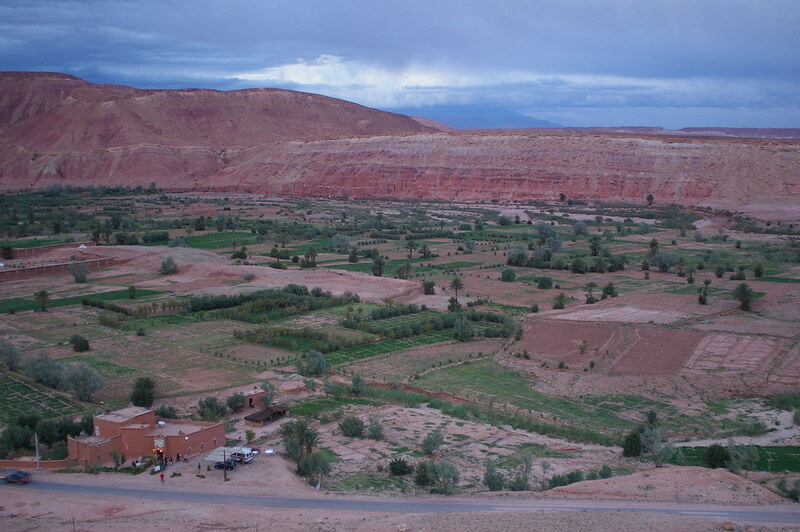 Morocco’s landscape was unlike what I had pictured in my daydreams, especially in the north with the rolling hills spotted with villages and mosques; the relative green vegetation clinging to the mountainside. I would soon see first hand the transformation of Mediterranean to Sahara as the weeks rolled on from the passenger’s seat of the van my buddy Steve at CarRentals.co.uk arranged for us. The country is sliced through by many mountain ranges and its geography abruptly ends at the edge of the desert. 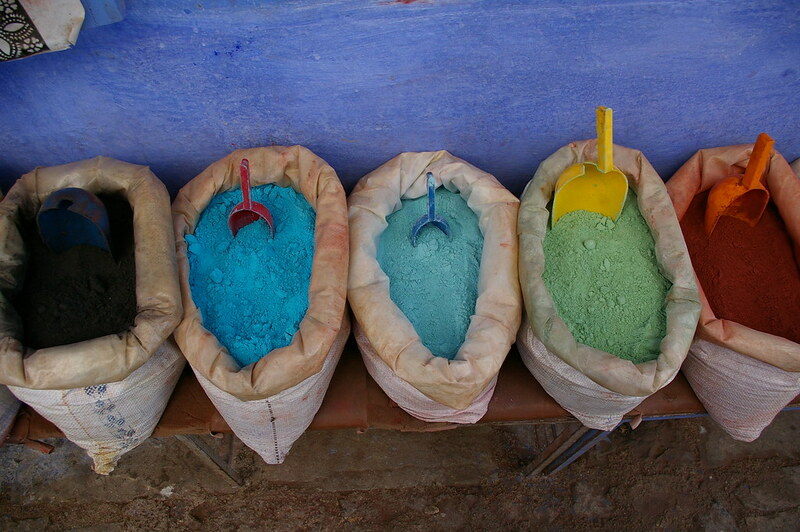 Chefchaouen is one of the most picturesque places I have ever traveled to. 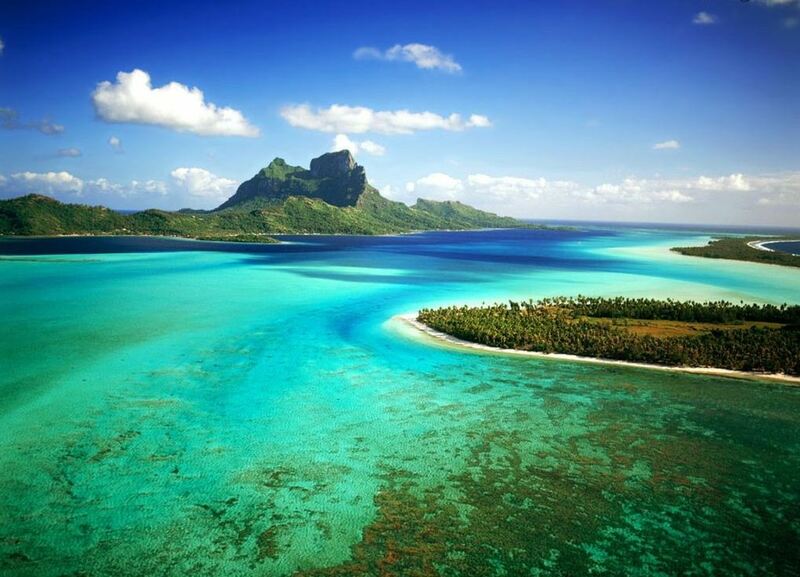 With a population of only 45,000 people and its perch on the hills, it is a perfect place to relax for a few days. 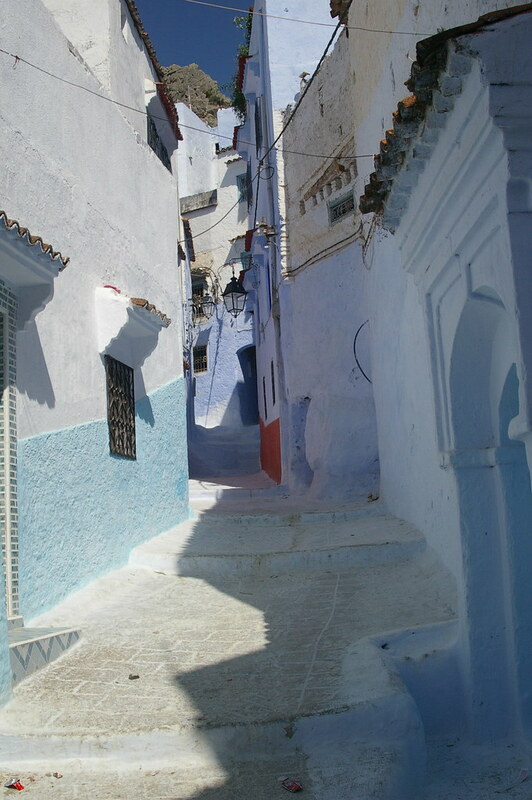 The city is built around the Medina with tiny lanes weaving and winding their way through blue and white painted buildings. The center of the Medina is occupied by the Plaza Uta el-Hammam, which is surrounded by local shops and places to sit and enjoy breakfast and coffee. Make sure to wander away from the center of the Medina to enjoy some of the less touristy shops. The highlight of our visit was most definitely the hike up to the ruined Spanish Mosque, from which some of the most breathtaking views of the mountain town can be seen. Just outside of the old town through the east gate, past the falls of Ras el-Maa – where the local women had congregated to do their laundry – the hike begins. The path is easy to maneuver and takes maybe 30 minutes, but is well worth the ordeal. The colourful buildings and their red rooftops form an intricate painting, which can only be appreciated from above. We left after two days and resumed our journey south. 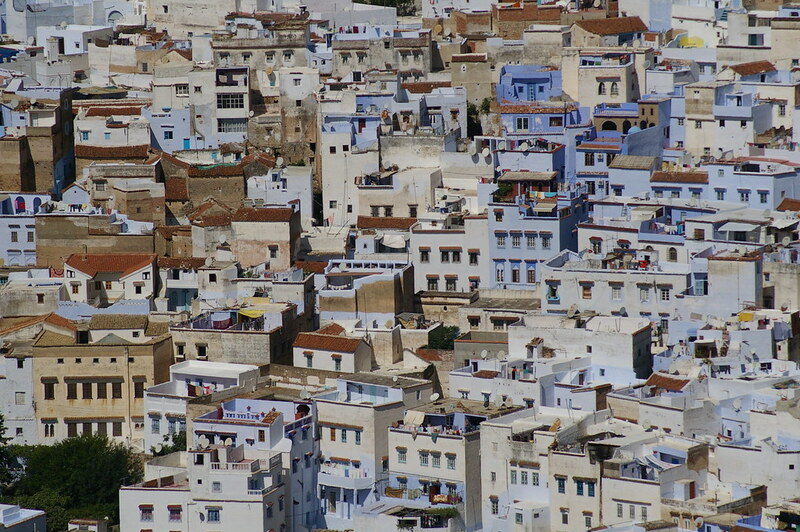 When looking back, having not visited Fez is one of the most regrettable parts of our trip. A 1400-year old Medieval City, it is home to the Middle East’s largest functioning Islamic Medina. Along with the nearby city of Meknes – a modern, smaller and more laid back medieval city – these cities are a great stopover for a few days, if your itinerary allows for it. 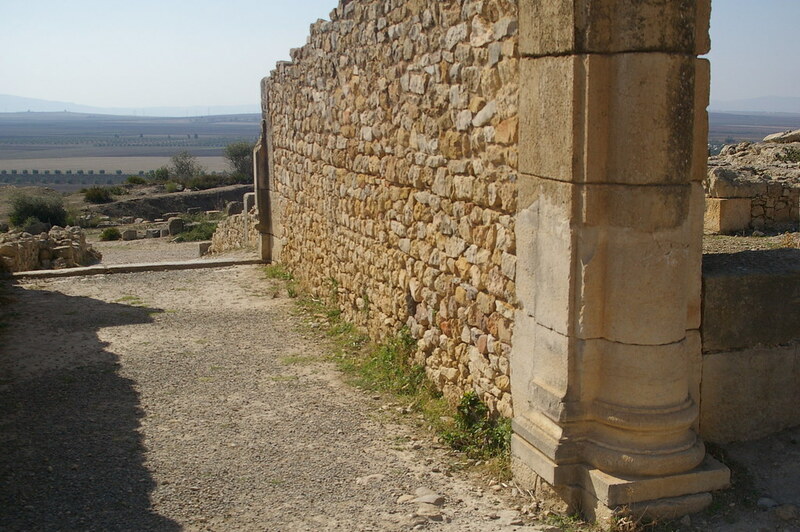 We did, however, stop at the Roman Ruins of Volubilis, which is a UNESCO heritage site in the rolling hills just north of Meknes. It was built as one of the westernmost outposts of the Roman Empire and was an important trading post and capital city. What remains on this site is quite well preserved, with several pillars and staircases, and many foundations still standing. I would strongly recommend a few hours out of your travels to visit the impressive ruins. We traveled further south and as we got away from the mountains, the landscape began to change into a more arid desert landscape. The road passed through several steep valleys carved out of the hills and saw some of the most beautiful Oases tucked deep in the dry ancient riverbeds. 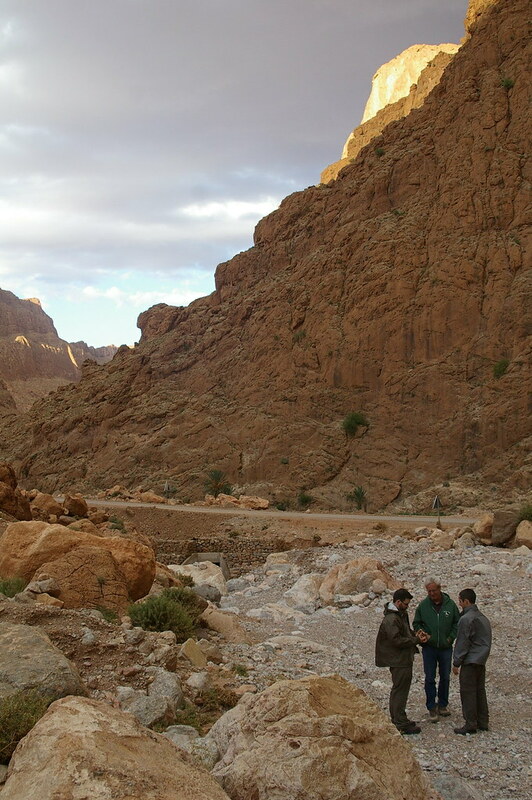 Our journey eventually landed us as far south as Erfoud, on the edge of the northern Sahara. These far off the main road towns have a frontier town feel to them, but not a lot in the way of sights. Local restaurants and shops line the dusty streets. We did stop at a fossil museum that sold small and large trinkets, which was about as interesting as it got in town. From towns such as Erfoud or further down the road in Merzouga – or along Draa Valley in the town of M’Hamid – it is possible to see some of the beautiful sand dunes, or venture further into the desert on organized camel tours. 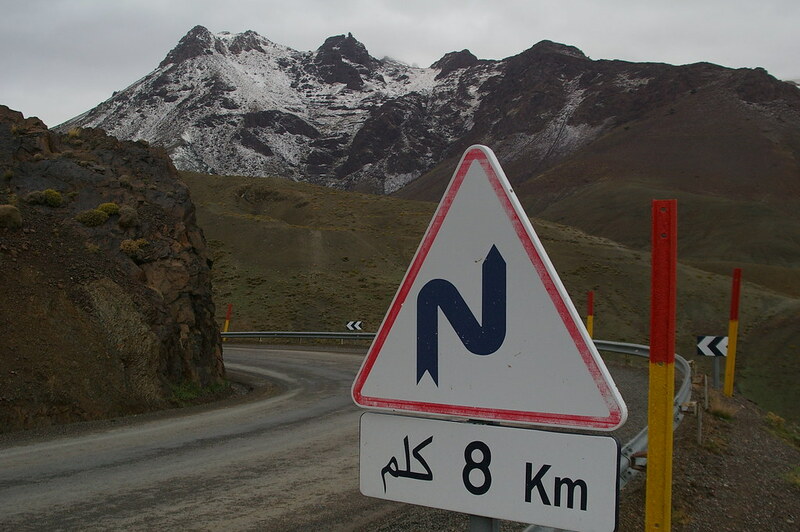 It was at this point that our journey veered towards the West and we were back on the route to Marrakech. Before arriving at Morocco’s most famous city, we broke up the journey with a few stopovers, the first of which was inside the breathtaking Todra Gorge. Once a distant off the beaten track stop, the road up the river valley is now paved and a bit more accessible, though still not on the radar for most travelers. The large river valley travels through the mountains and culminates with a stunning canyon which closes in as narrow as 10 meters apart. These cliffs have also become popular with mountain climbers. 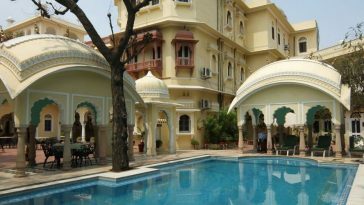 There is a hotel situated right at the entrance, as well as throughout the valley en route. Depending on how far you plan on venturing into the canyon, this could easily be done as a day trip. For us, leaving the gorge was the real adventure. During the night a heavy rainfall had filled the valley and by the morning we were faced with a flash flood rushing the road right in front of our eyes. 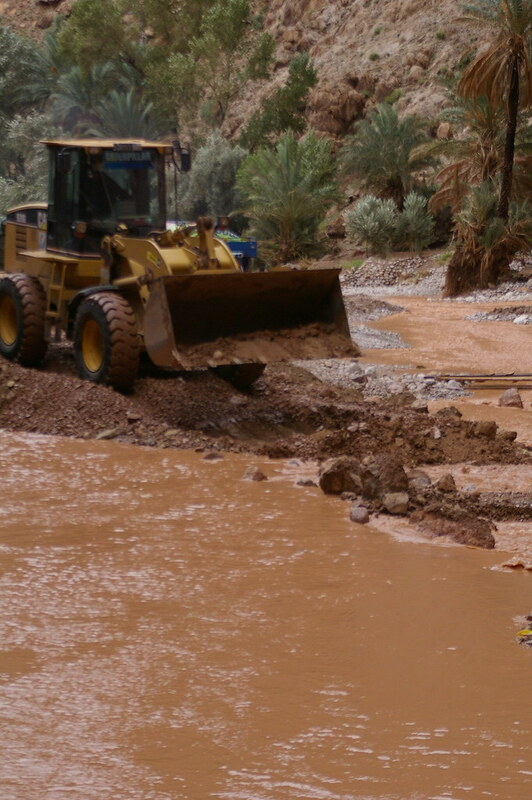 We we’re able to cross the first part of the river, but just a few hundred meters further we were forced to wait while excavators rebuilt sections of the washed out road. 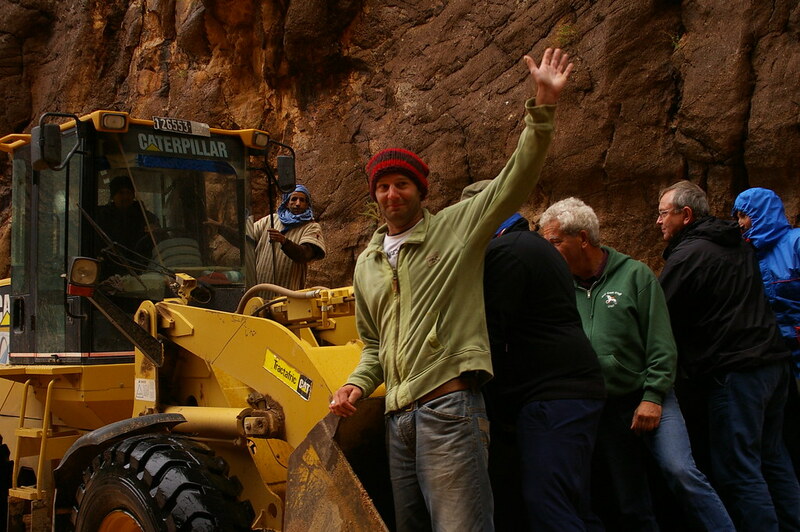 When it became time to make our dash for the other side, some of us got out to lighten the load and hitched a ride across in the scoop of the excavator. Once we ere further down the valley, large sections of low lying road ended up getting flooded out and most of us ended up hiking through the flooded road, knee deep in water. 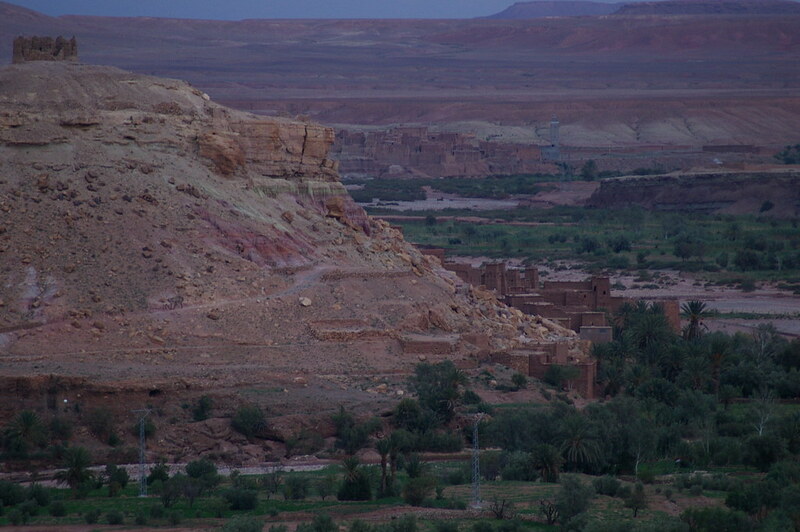 Eventually, escaping unscathed, we were back on the high road towards Ait Benhaddou. Morocco is a great crossroads of civilizations; the three corners of Europe, Africa and the Middle East meet. 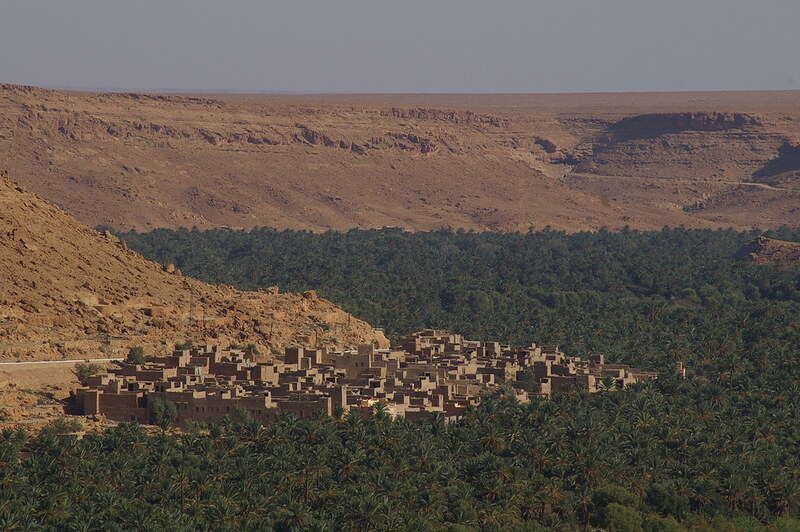 The indigenous population – named ‘Berbers’ by the arriving Romans in the 2nd Century BC – have lived on the land, carrying on as they always have. Allowing the influences of all three points to shift and change the look and feel of their homeland, their heritage has remained mostly intact. They are on the great road that leads everywhere and, as a result, they have been accommodating travellers for hundreds or thousands of years. From Romans to Islam, Camel Caravans to backpackers, they have seen it all. 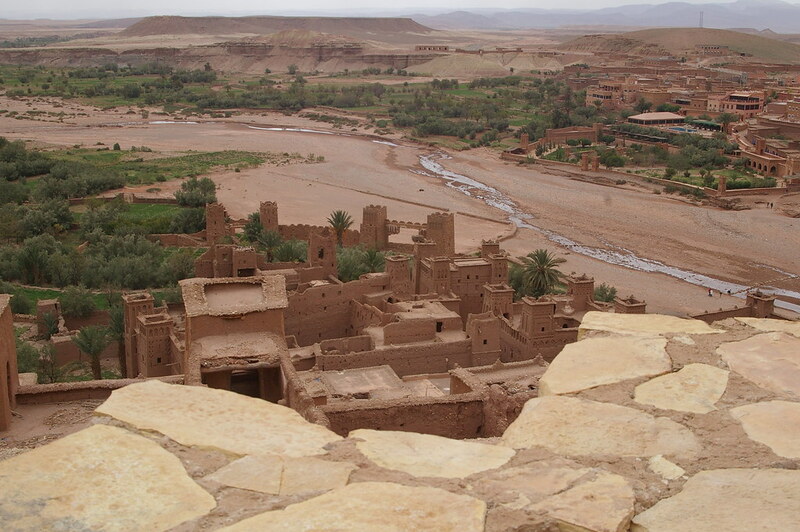 Our final stop en route to Marrakech was at the ‘ruins’ of Ait Benhaddou, a remaining stopover along the ancient Caravan route moving west from the Sahara Desert. Its architecture is a remnant of the 17th century style of Southern Morocco and named a UNESCO heritage site for its lasting example. 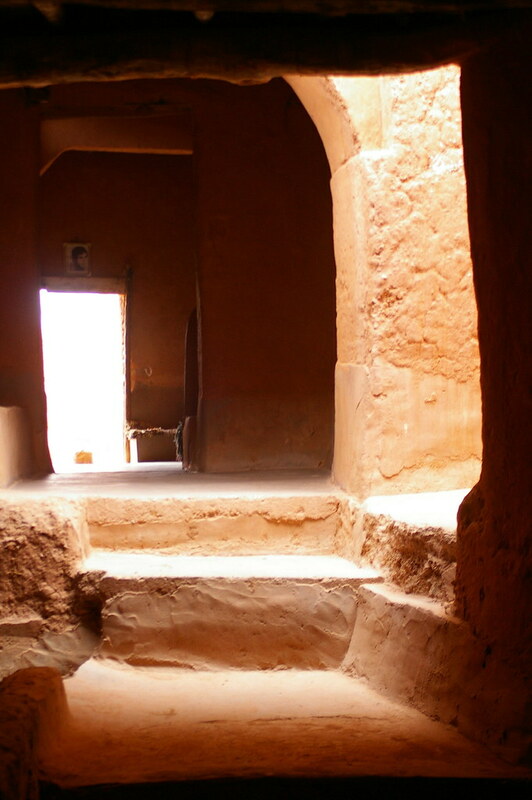 The collection of clay mud buildings, known collectively as a “ksar”, is a traditional pre-Saharan habitat. The town is still occupied by as many as 10 families, with the majority of former residents moving into the neighboring modern town. 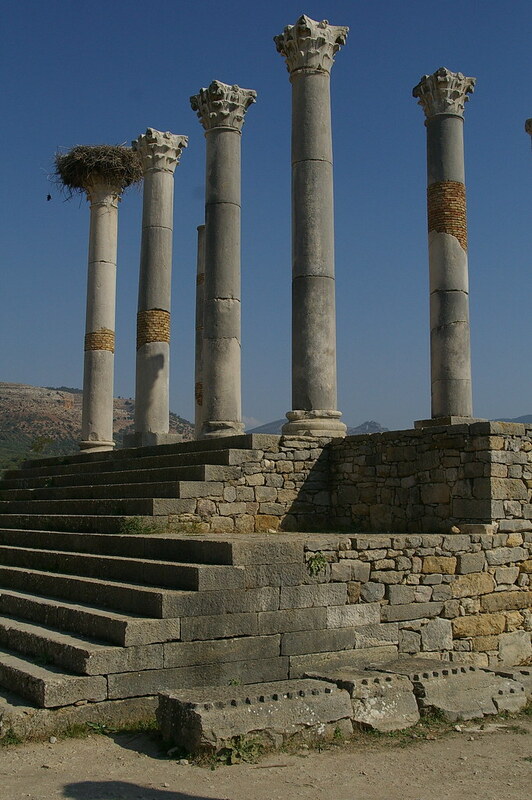 The ruins themselves have been featured in several movies, which up until it was declared a UNESCO site, helped pay for its upkeep and restoration. Movies such as Gladiator, Lawrence of Arabia and Jesus of Nazareth have all used the ruins as a backdrop for a time long ago passed. We spent the night at a hotel just outside of town and waited until the next morning to visit the ruins. Before sunset, a few people hiked up the rocky valley. We were rewarded with a distant preview of the ruins and a great view of the whole valley. Once inside the ruins, it quickly becomes obvious why this is such a special place. Through the maze of winding lanes, it becomes easy to picture what the life of a local must have been like. You will even run into some of the villagers, who will let you into their homes or pose for photos for a small price. It is definitely worth the time to wind your way up to the very top of the ruins where the remains of the granary and views of the entire complex from above. Nearly 500 kilometers into our journey across Morocco, we were nearing the jewel of the Morocco experience: Marrakech. Our last hurdle was quite literally the High Atlas Mountains. The highest mountain range in North Africa, it stretches over 1000 kilometers, from the Atlantic Coast to northern Algeria. 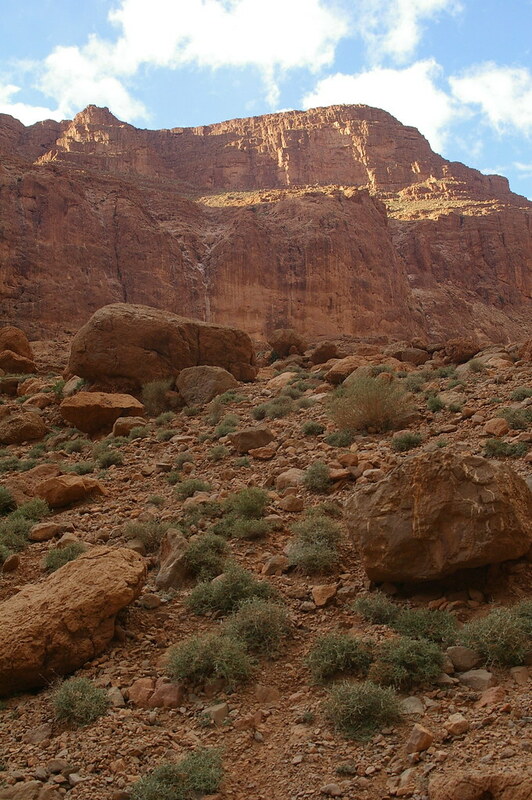 This is one of the most popular areas in Morocco for hiking. 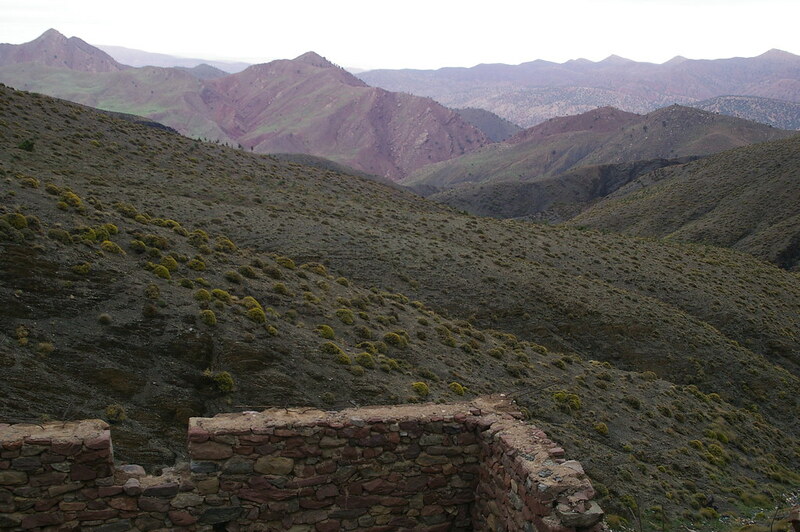 In the Berber language, the name of the range translates into “The Mountain of Mountains”. Our journey up one side of the mountains, through a series of switchbacks and passes, was a slow winding process. But eventually we reached the pinnacle, at 2260 meters above sea level, and began the slow winding process down the other side. The rolling hills eventually level out and once again the plains return. A short while late, we finally arrived in Marrakech. Rob Sweatman grew up in an upper middle class, very white neighbourhood in the suburbs of Vancouver, Canada and simply needed to get out as early as he could. Ever since he’s been able to, he’s been travelling. He loves taking pictures, and to a lesser extent, writing about the places he’s been. His most recent real trip was to Africa just last year, hence his being here. The crew started in the North of Africa and made their way down the continent until they ran out of money and had seen enough of the incredibly repetitive sand dunes. You can check out his website, and more importantly in his mind, his travel pictures on flickr!